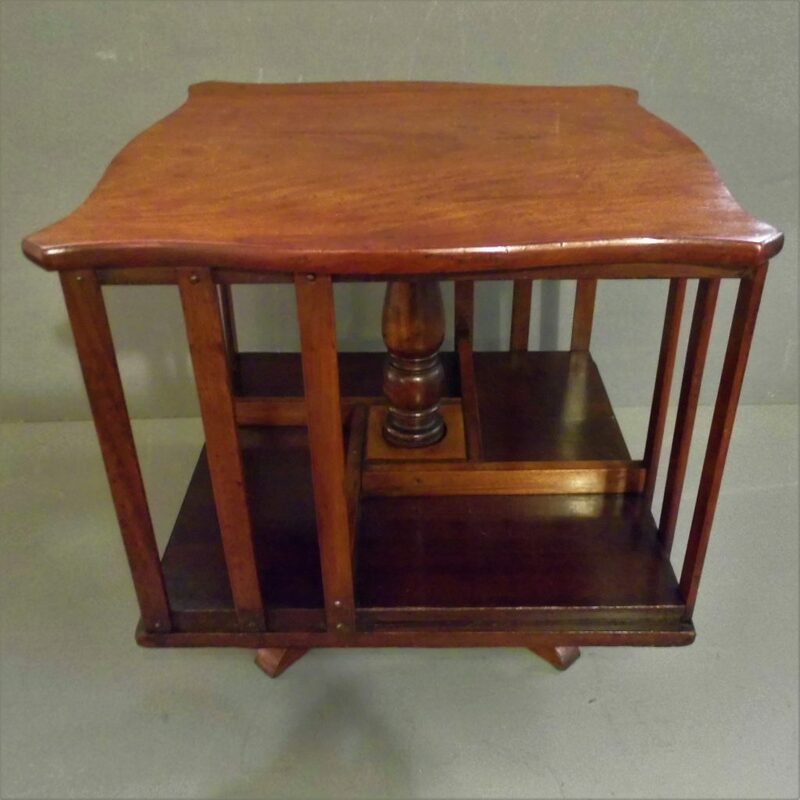 An Edwardian table top Walnut Revolving Bookcase circa 1900. Nice quality bookcase with solid figured walnut top and well turned central column. These table top revolving bookcase were designed to sit on a side table next to an armchair and really give the “Gentlemen’s Club” look. 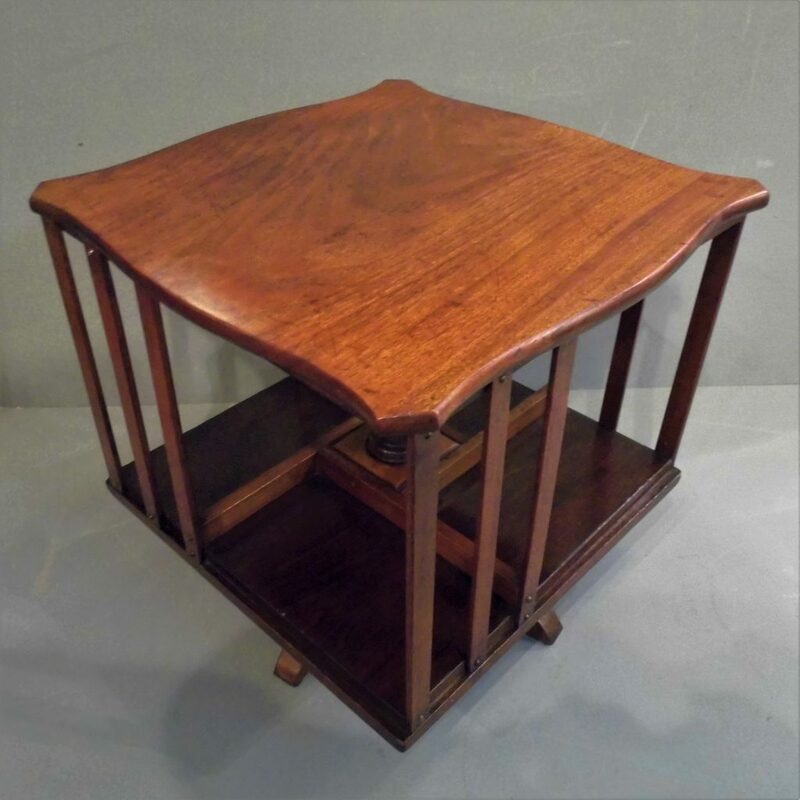 This fine example has great patina and a rich colour and is in good antique condition and the original finish has been revived and given a few coats of French polish. it turns smoothly.There is a little wear commensurate with age. It measures 37cm x 37 cm and 35cm high. The 3 compartments measure 20cm wide by 21 cm high by 12 cm deep.